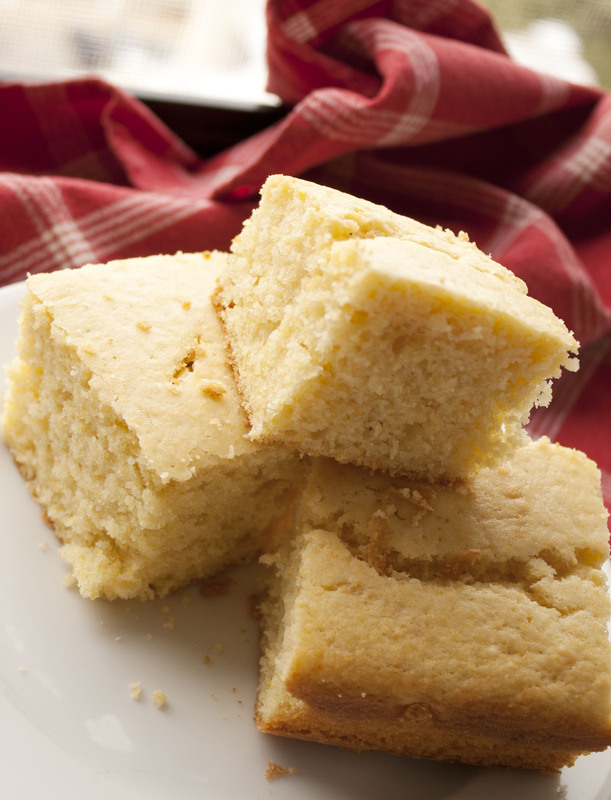 The best, easiest cornbread recipe ever! I’ve been making this cornbread recipe forever because it’s really simple and really delicious. It goes great with soups, stews and barbecue dishes. It’s really moist and slightly sweet. You could add some corn to the batter before baking it for some crunch. Serve it plain, with butter, or with honey butter. I recently discovered several variations of the original recipe (as well as some of my own small changes), so the one below is my new fave. Put a 9 inch cast iron skillet in the oven. Heat the oven to 350°F for at least 15 minutes (while you’re making the batter) to let it get warmed up and the pan get super hot. Mix together the flour, sugar, corn meal, baking powder, and salt. Mix together the milk, eggs, vegetable oil, and melted butter in a different bowl and whisk them together really well. Make a well in the middle of the flour mixture and add the milk/egg mixture to it. Stir until blended. Add a TBS or more of butter to the cast iron skillet. I don’t take it out of the oven, just pull the rack out. Be careful, that thing is hot! Let it melt and swirl it around the pan using an oven mitt to hold the handle! It will get all hot and bubbly. Carefully pour the cornbread mixture into the pan. Again, I don’t take the pan out of the oven, I just pull the rack out and do it slowly. Bake it for 20-35 minutes- start testing it for doneness with a toothpick or knife starting after 20 minutes. You’ll get a crunchy buttery crust and a tender light interior with this baking method. Yum!